Joe: What was your life like before cancer? Honore: Life before cancer feels really simple now. My husband and I, Tom, we were married three years. We had been together just over six. We were in our late 20s, establishing our careers and enjoying the opportunities of travel. We were at that age where every weekend was a wedding or a bachelor party or a bachelorette party. We were just in that time in our lives where we were constantly moving and really got to enjoy those first couple of years of marriage. Things were great. It came so abruptly that that time in our life just seems foreign now. Joe: Absolutely. How did you first find out that Tom had cancer? Honore: We were actually very fortunate. Tom was having a weird cough and some pain in his chest. He didn’t really think anything of it. I remember him coming up the stairs that night and just making a face a little bit and pushing on his chest. He said something just felt weird. We thought, okay, a cold is coming or something like that. It’s September, all the back-to-school stuff and we went to sleep that night and about five o’clock the next morning, I woke up and he was putting clothes on and he was getting ready. He said he needed to go to the hospital. Fast-forward an hour or so later, and he had an x-ray and they saw a shadow in the mediastinal, so in his chest. From that, they sent him to a CT and there was a baseball-sized tumour sitting in the centre of his chest, essentially, in the mediastinal. What was causing that chest pain for him was the fact that the tumour was touching his heart. We were actually in a way very fortunate because it mimicked symptoms that you don’t mess around with. You go into the ER when you’re having chest pain like that. Where some people who had gotten this type of cancer in their abdomen and it takes longer to diagnose because you just think you’re having a food allergy or something like that. We were very fortunate in a way that it was in his chest. We got to the hospital a little bit 6:00am, by three o’clock that afternoon, we knew it was a late stage-three cancer. His particular cancer was a non-seminoma germ cell tumour, which is a rare form of testicular cancer. Joe: Yes, wow, it’s just such a shock, isn’t it, because you just never see it coming. What was the first thing that went through your mind? Honore: That I would wake up. It’s funny because naively, in a way I woke up out of a dead sleep to Tom saying, “We need to go to the hospital.” There’s an element of that that I honest to goodness thought I was in a dream. I would wake up, it would be okay, I would wake up, this is just one of those really vivid dreams you have. Unfortunately, not. Once I accepted that reality in that day anyway, I think it took long to truly accept our reality, but knowing that I wasn’t in a dream, unfortunately, what you think of is every bad story you’ve ever heard about cancer and the financial impact it can have. Are we going to be able to keep our home? Can we figure out these treatments? Is this a diagnosis that’s going to allow us to have a chance at the future beyond this? Unfortunately, my head went to all of those pieces because there are so many unfortunate cases where you don’t have positive outcomes. That’s all of a sudden, that movie reel plays in your head of all of those stories and circumstances and news articles and all of those things that you’ve read before. Joe: That’s so true and my mind goes back to what you said about hoping to wake up from this dream. It does that a while to properly sink in, doesn’t it? Honore: It does, you’re in shock. You’re absolutely in shock. Not only are you in shock, you have to make a ton of decisions very fast. You don’t even get to sit for a minute with your own thoughts. It’s… here are a bunch of facts, now here are all the decisions you need to make. By the way, you might need to make them within the next 24 hours because we have to start treatment, or we have to get this doctor lined up. I would argue there were some days where it still felt like a dream. Joe: Yes, absolutely. I really connected with your story, as well, because I remember when I was going through treatment, that I think my wife and my mum, they were probably under even more stress than I was. I guess the way I look at it is, when you have cancer all the spotlight is on you, right? You’re going through it, but at the same time, your partner has to be the rock that’s supporting you throughout all the craziness and uncertainty and through treatment. You also have to maintain some semblance of normal life and do the things that you normally do. What’s your experience been like as a caregiver? Honore: Yes, you nailed it. It is hard because the spotlight is on that person. You feel like you’re the puppeteer making everything happen around that person. The day that he was diagnosed, and I talk about this quite a bit with people, is our roles changed. We were still husband and wife, but we were also caregiver and patient. With that comes a different dynamic. When we were just husband and wife, I wouldn’t tell my husband, “You have to do this.” There were days where I had to say, “You’ve got to do this, you’ve got to take this. We’ve got to do what the doctor is saying.” Your role shifts. That’s hard because you want to keep your normal, but the reality is, you’re in different roles. That normal is something that you are anchored to and you hold onto, but that’s not your day-to-day anymore. That’s really tough. It’s finding normal within that. We found temporary normal, like when we were in the hospital, we would take a walk every night. We took the same route and we’d make the same goofy faces and say hi to the same people. You find these little rituals and these traditions in these terrible times because you’re clawing for any sense of normal and any sense of this can be happy, we can find happy moments in this, we can laugh, we can do that. That was part of our normalcy. Our normalcy was having fun and choosing to be positive, you lose so much of that that you try to find those moments. I think another thing we did from a normalcy perspective and for Tom’s sake, all of his medications, I had an entire table of medication that he was on. A chart that I found of what he needed when. I put that in our office room in our house and I would shut the door and I would keep everything in there because I wanted everything else in the house to feel normal. I didn’t want ten medication bottles on the bathroom counter and five in the kitchen, and have the stuff spread all over the house. I wanted that normalcy to be when we were in our home. Other than that, one room, we were still husband and wife, and this was still our home. That helped keep us both – I could still be his rock and do that for him, and he could power through the hard days. Joe: Yes, that’s such a fantastic advice you’ve got, this whole cancer room. I heard that people even have roles for when to talk about cancer and when not to talk about cancer. What’s your perspective there? Honore: I think for us, we didn’t necessarily have rules, but for us, I think I would have hated to put restrictions on it like that because there are moments where you feel like you need to communicate. I will tell you, any couple that will go through this would likely tell you that communication is key. To me, if we had put those restrictions on it, if he’s in a moment where he feels like he needs to tell me he’s having a really bad day, I don’t want him to hold back and think, “We’re not supposed to talk about that today. Or I don’t want to upset her.” I get why people do it, for sure, but for us, I think it was really important to keep those open lines of communication and I think we always had that card to say, if we need to have a hard conversation, we’re going to have it when we’re both ready, whenever that is. Joe: Yes, I completely agree with you. I think it’s such a huge point to make that I think that there are points in particular during treatment, that I didn’t feel like saying how I really feel because I didn’t want to get my wife or my mom more worried and more worked up. I got to thinking that it did more damage, really. I think when I started to really open up about it and to be just more direct, and just honest about it, I think it just helped everyone because everyone was in on it, everyone knew exactly what was going on. Honore: Absolutely. I remember, I finally had to say to my husband, and Tom was wonderful about communicating, but the same thing, the person going through the cancer already feels such tremendous guilt, they don’t want to add that onto the day. I remember saying to him, “I am managing everything right now. I’m happy to do it.” I’m balancing work, I’m balancing all of our appointments, our life, our finances, everything. I can’t add mind-reader to the mix, you need to tell me how you’re feeling. If you add that layer, I’m going to burn out, I can’t. I need you to communicate with me what you need and be open about it, so I can adjust accordingly and make sure I can do that for you, but I can’t read your mind. Joe: Yes, exactly. Mind-reading is not on the job description. Honore: No, not in the official caregiver description for me anyway. Joe: Exactly. I think that comes down to also helping you to stay more positive. It’s tough to deal with things because you’re always on edge, both of you, both yourself and your partner because you’re always waiting either for results or you’re waiting to see if the treatment has worked, or you’re waiting to hear from your specialist or your nurse. What are some of the other things that have helped you to stay more positive through the role? Honore: For us, I think we’re both goofy people, we always joke who’s funnier in the relationship. We’re just light-hearted in that way. We always said laughter is the best medicine. We really try to find those moments where we could laugh or be goofy. For me, and part of the reason I started blogging about our experience, was one, to keep family informed, but actually writing became a huge stress reliver for me because there was so much going on in your head and in your mind. Just to write it down. For Tom, there’s a lot of memory loss almost during chemo, chemo-brain is real, very real. In addition to the fact that your body is in shock and all of that. He actually didn’t remember more than I even though how much he didn’t remember from that. Being able to write that down and channel that in my stress and put it all down also served a dual-purpose because he read it back eventually. He was like, “I didn’t even know that happened.” I’m thinking, are you serious? That was such a pivotal day. To me, that seemed like a big deal. It wasn’t that he obviously intentionally did it, it was just that wasn’t a memory that was retained for him, with all of the drugs and all of the stress of that. For both of us, I will admit, as any caregiver, I resisted therapy. In head, I thought, my husband was diagnosed in September and I did not bite the bullet until January. I wish I had done that sooner. I don’t know why. I have nothing against therapy. A dear person that I know, and love had said to me, “You break your arm, you go to the doctor. You have a broken bone. If your brain is not working, or your brain is struggling to comprehend the trauma and the stress of everything you’re going through, you go to a therapist.” I heard it like that and I’m thinking, duh… okay. It was that ah-ha for me of, we need help, this was a lot, this was a ton of stress on me. Like you mentioned earlier. More importantly, how do I help Tom through his stress? Again, as a caregiver, you never really turn that piece off. Joe: Exactly. I think that a lot of people, it doesn’t occur to them and it didn’t really occur to me at that time to go and see a psychologist or a psychiatrist or a counsellor, whatever. It’s because you don’t really think about it like that because it’s cancer. It’s supposed to be hard, but it’s really not. I think the more that you can do for yourself, I think it’s a really fantastic thing. What you’ve done is really go to see someone and find a way of dealing with it. Honore: Absolutely. Tom, he saw a therapist, as well. In his case, and I do advocate for this for cancer patients, especially, and I don’t know about your views on this. For him, he said he would go, but he wanted to wait until he went through treatment because he wanted all of his energy and everything to get through treatment. I think even at the time, he was still in shock. I think finding the right time of when you get those interventions are really important. To just do it because you think you need to do it, versus when you’re open and ready to have that conversation and really work through the trauma of it and how abrupt things happen and all of the changes in your life, I think it’s super important. Joe: Yes, absolutely. I just think it’s important to use every tool you can to help you deal with this experience. For me, it was definitely like an online support group, just going to a forum for testicular cancer and being able to ask questions and to hear from real people, advice and support. It just makes such a huge difference because no matter what sort of support you have, I think both as a cancer patient or as a caregiver, there are definitely times when you feel like you’re alone, when you feel lost and confused, right? Honore: Absolutely. I think part of my issue, not issue, but something I wish I had realised earlier was, I found myself pulling away in those alone moments wanting to reach out to people, because I didn’t want them to have to take it on either. I didn’t want to have to call my best friend again and be like, “I’m having a rough day.” In my mind, I’m like, am I jeopardising these friendships and relationships because my life is so chaotic?” I didn’t want that. It’s hard because you’re right, you have those moments of loneliness and sadness, then you also almost don’t want to share it with anyone because our whole life was lonely and sad at the time, you know? You don’t want relationships to change, and they do, it’s inevitable. Joe: Yes, exactly. I think sometimes you also want to hear stories from people who’ve been there, to know that there’s a light at the end of the tunnel, to know that other people have gone through it. I think I want to really jump into what you talked about, people in your life, your friends, your family, how did they support you? Did they really support you in the way that you wanted to be supported? Honore: We had hands down, we have the most wonderful family and friends. We had so much support. So much so that that’s actually part of the reason I started blogging, is I knew how many people would want to stay informed on what we were going through. I knew that I couldn’t also add communicating with hundreds of people to my list of to-dos, so I figured if I could do that in one channel that would help. It’s a great problem to have. I will say, for me, one of the biggest lessons I learned is you have to be clear on what helps means. First, it’s somebody saying, “Hey, I’m at the grocery store, can I grab you anything?” For me, as the caregiver and for Tom, you feel such tremendous guilt already that people are doing things for you. To know that they were already at the grocery store and that wasn’t an inconvenience for them, and they could actually bring us food, things like that. Being specific in how people can help you, or how you can help somebody I think goes a super long way. 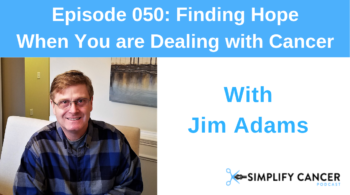 I also think it’s on that caregiver and patient to actually say, “Here is what is helpful for us.” Then figure out who can help you with those pieces of the puzzle, so you can get the support you need. Joe: Yes, you make a fantastic point, that people should be more specific when they offer help because you don’t want favours, as well, you just want people to do something that they’re comfortable with doing. How did you make it clear for people that these are the things that are actually going to be really meaningful for you, they’re really going to help you in a way that’s really right for you? Honore: Well, to be honest, it took me a minute to figure it out myself. That’s hard, the knowing. The reality is, what’s helpful on one day maybe isn’t helpful the next day. It could be, I remember when Tom had his surgery, I thought I’d be able to bring him home and quickly run out to the grocery store and grab what we needed for a while because we would be in the hospital for a week, so it’s not something I could do ahead of time, the food would have all been spoiled. I remember that was right towards the end. This was not like my personality to ever, and I texted my sister in law and said, “Can you do me a favour and grab these five things from the grocery store and just toss them in the house?” She knew my garage code. That’s not something I ever would have done before this happened. I would have been like, hey, can you go run for my groceries for me? Just asking and knowing some people would reach out and say, “I don’t know what I can do for you now, but here are the different things I can do. If ever you need that, call me.” That’s super helpful. I knew that I had family and friends around here who have small children. I’m not calling them at eight o’clock at night to help with something because I know they have small kids and they may not be able to leave their home. It’s always knowing what people are willing to help you with and then knowing when you can do that. For me, still, it was very hard, I don’t think I did a perfect job at it at all. Of course, I got good at it towards the end when we were really in the struggle. I do wish I had gotten better at just asking for the help we needed and being very upfront about what would have been helpful. Joe: Yes, it’s a learning experience you don’t want to have. Honore: Right, you don’t want anyone to feel like they have to do something. You already feel guilty and when I did ask people, I felt, I hope that’s okay, I hope they’re not mad, I hope I didn’t inconvenience them. It’s just my nature. I feel bad about those types of things. It’s hard, you don’t want to be in that situation. You feel so vulnerable. Joe: Yes, absolutely. It’s hard to deal with check-ups because you’re worried that the cancer has come back. How does it work for you now, like, for you and your husband? Honore: Those are really rough. We are still on a three-month cadence because of how aggressive his cancer was. It’s a roller-coaster. The week leading up to it is not our strongest week when it comes to sleep. It’s that old saying of there’s just an elephant in the room. Going back to being open communicators and trying to deal with all of it, nobody wants to talk about it, nobody wants to be the one to say I’m worried. You don’t want to cast any doubt, you want to stay positive, but you also have to prepare yourself. I think in our case, for how abrupt his cancer came out, our nature now is to prepare for that ball to come out of left field that you aren’t expecting. How do you manage that and stay positive? It’s tough. It’s super tough. I would say we have a silly ritual. There’s a greasy diner on the way to the hospital that we always have breakfast. We get up early and go have breakfast before we see the oncologist and get the results, because that’s just our half an hour where we can take a deep breath and the day is actually here and we see our doctor and they’re just wonderful. I think a big part of the challenges we have with that is, it’s really hard to go back into those spaces that have become so comfortable. It’s hard to sit in the waiting room when you’ve got people from all different stages of their cancer battle. I remember right in the heart of Tom’s treatment, we were sitting in the waiting room and somebody was coming out and the receptionist said, “Okay, we got to schedule you for six months’ out.” Tom turned to me and said, “I wonder if I’ll ever be able to make that appointment.” In our world, at that time, we were there every other day. We were there for treatment, we were in hospital overnight. Just being back in the environment, you feel sick to your stomach. Everything just seems like you have to remind yourself that you’re not back in those days, you’re there for the check-up. I think beyond those weeks leading up to those scans, I think some of the hard days that people don’t realise for folks that have had cancer and are only a couple of years out, is those are really hard weeks, but also what’s hard are those random colds, or that random pain, or the thing that happens on a Tuesday and you have to convince yourself that it’s just a headache and that he’s okay, and that all he needs to take is some Excedrin or something. Those things are strangely hard because you immediately put your guard up because you don’t want to get caught off-guard again. Those days are hard within those three-month periods for us, of going back to the doctor. Joe: Yes, I’m so with you on that one. Like, yes, it’s the little pain or ache and your mind, the first thing it jumps to, it’s cancer. Whether it’s a headache. Joe: It’s back, yes, exactly. I love the point you made about the little rituals. I think we would do that in our hospital. There’s this little café with a little garden. We always go there for coffee there. Yes, I really get you, you get used to all of these ways of doing things where you’re comfortable. You want some certainty, right? You want any bits of certainty that you can click to in this age of craziness and things that just come out of the left field. Honore: Yes, and we’re so used to – we’ve become a society that is so used to getting information so quickly and on-demand. It’s sometimes strange to have to wait. Just tell me. Can’t I just look this up on an app or something? There is this extra component, the way the hospitals operate and the waiting between days for appointments where he would scan and do bloodwork the day before and we’d come in. It just doesn’t jive with how the world operates now, which is so fast-paced. You’re also out of your element. There’s got to be a way of getting this answer right now, come on. Siri can tell me. Joe: Yes, exactly. Siri, is the cancer back? One thing that’s always bothered me is that whenever you go to give your bloods or you’re going for a CT scan or x-ray, it bothers me that the person who decides your fate, the person that looks at the records and does the test, you never see them. At least you can talk to your oncologist or you can talk to your urologist, whoever your specialist is. The person who’s looking at the test results, you don’t know who that is. Honore: Exactly. You’re hoping they’re having a good day. There’s human error. There’s an element of it and there’s something about seeing the person and knowing, okay, they were engaged in their looking and all that stuff. You hate to doubt them because you know they’re doing their jobs. There is an element of human error in all of those test results. It’s natural, you wonder. Joe: Yes, you wonder, what if I came to work with a hangover? Honore: Right, it happens. On the morning of Tom’s surgery, our surgeon came in and he was wonderful. I said, it’s awkward and I’m trying to lighten the mood, I said, “Are you feeling good? What do you do? Do you stretch out in the morning of surgery? I don’t know.” He says, “Yes, I got up and ran at four o’clock this morning.” I’m thinking to myself, why weren’t you sleeping? Go back to sleep. Why were you up? You know you’re doing surgery on my husband today, right? Yes, you hope they’re having a good day. Joe: Yes, absolutely. You know what? For me, cancer has really just changed my world completely. It’s changed the way I look at things, my priority, the way I live my life. Did you go through a similar experience? Honore: Absolutely. I think people sometimes don’t realise it happens both for the patient and the caregiver. I think there also becomes this element of the pressure to dramatically change your life when something like this happens. The reality is, my husband had to go back to his job, I always joke, it’s not like we were going to sell everything and go buy a cigar shop on the beach the day after. You have to recover. You have to get through the trauma. You have to financially recover. You have to feel confident that it’s all gone and it’s not going to come back, and you have to get through those scans. I would say absolutely, though, we make decisions differently. Before cancer, for the most part, you can’t predict the future, I knew that if I did X, Y would happen. We have X amount of dollars saved, we can afford this, we can go on this trip, we can do this. 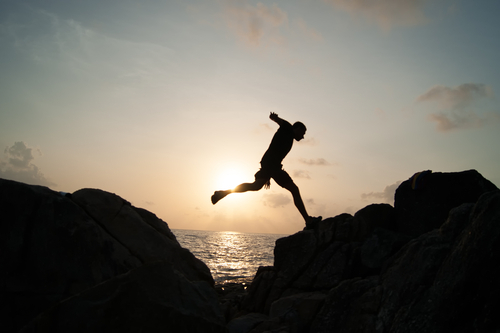 There’s an element where your future feels less predictable because there’s always that little voice in your head saying, “Yes, but… Yes, but…” We make decisions differently perhaps that we may have not taken that chance on something, or we’re going to take that risk that we wouldn’t have otherwise taken. Or we say, to heck with it, we’re going to drive eight hours to spent four hours with somebody and turn around and drive back. You know what’s important, your priorities change. The things you do and who you spend time with and how you spend your money absolutely. I do think that probably for us, especially, continues to happen more over time. I always say, I’m sure there are decisions that we didn’t even think we had to make yet that we will make differently because of everything that’s happened. Joe: What about your book, did that help at all, as well? Honore: Absolutely. The book, for me, was really hard. I was writing that. Tom and I going through it, for me, to your previous question there, Tom had this whole pressure on what did he want to do with his life now? Is this the career he wants? Same with me. I remember, I worked throughout all this, but I remember thinking to myself, and I’m a very career-driven person. Is this what I want to do? Does this matter? There are days you’re sitting there and you’re going, everything that’s important to me is outside of these four walls. I care about my career, I care about doing a good job, but the things that matter most are there. You have that element. For me, the book originally started from my blog. The blog kept increasing and the link kept getting shared. By the end, I was actually getting quite a few hits per week. That triggered a response from me. There’s not a resource like this out there. There’s not something from the caregiver’s perspective. I was looking for it. I was looking for it when he got diagnosed. Somebody tell me, how do we get through this? What do I do? How do I support him? For me, I saw that the world needed this. I felt strongly that I wanted to put this out there. To your earlier point, the book is very raw. I’m brutally honest, I don’t sugar-coat it. I felt that was a disservice to anyone that would be going through this. 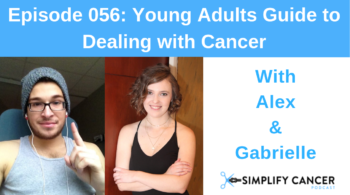 For me, that was a tough decision to make, and changed my priorities in the sense that, do I want to put this raw personal story about this out there about our cancer experience? About our family? These are things that you don’t usually walk around and have cocktail conversations in a difficult setting. We really put ourselves out there. For me, you go through something like this and you realise that, if you don’t take this and if you don’t help the next person or do something as a result of it, there’s an element that you’ve missed an opportunity. I think there’s a real gift in being able to get through these and give back. Joe: Yes, absolutely. That’s so fantastic because I think it’s definitely something that can help every cancer care giver out there, just to get practical advice on what to do. Also, knowing that you’re not alone, you’re not the only person going through it. There’s hopefully a light at the end of the tunnel. This new normal that everyone talks about. 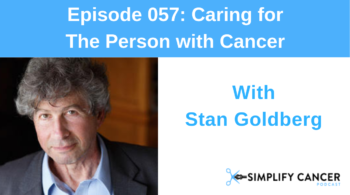 Also, I think it’s important to read for cancer patients, as well, to know what it’s like for the caregiver, for someone who sticks through it with you, who even has slightly different challenges to what you’re going through, so that you can really appreciate that and keep those communication channels open. So, that everyone is really on the same page. Right? Honore: Absolutely. I think what’s been interesting is the book’s been out for about a year. Of course, in my head, this is the logical audience of people, like you mentioned, of people who have cancer, so they have a better understanding of the people that support them, family and friend who are trying to support them going through a cancer diagnosis. What’s been so interesting is there’s been this whole other group of readers that have said, it’s a love story. The story about hope. This intentionally was written not just about cancer, I don’t want cancer to always dominate the conversation because for so long it felt like that was the only narrative we had. For me, to incorporate stories of our life before. I mentioned in the book about goofy stories that happened to us before cancer. I love that was one of the first questions you asked is, what was it like before cancer? There’s a reminder to me that in a strange way, life finds a way of preparing us, even if we don’t know that at the time. 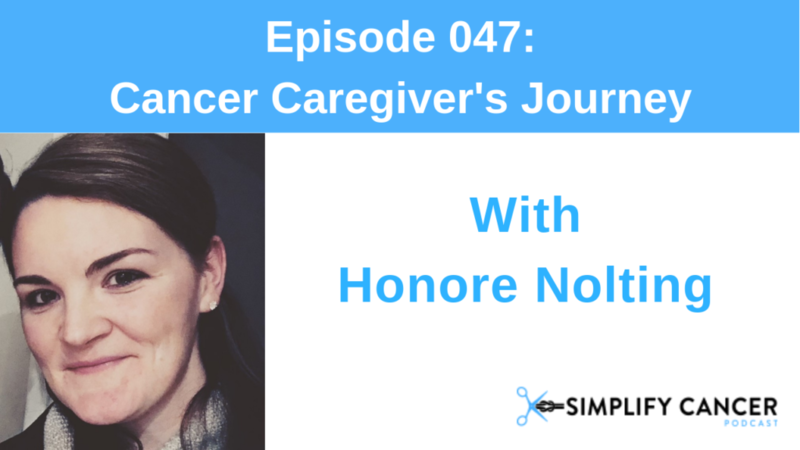 I was very deliberate in making sure that while this is a story about our experience of cancer and being a caregiver, there’s so much more to the story than just the cancer, because there’s so much more to anybody going through cancer, or the caregivers. It can feel like it’s dominating everything about you, but it’s just a small piece of you and you will regain that composure and that reality back. It sometimes feels like it’s going to take a while, but you can do it. That’s been really awesome for me to know that the story can resonate with people, even if they’re not in the thick of this. Joe: Yes, that’s so true because you are so much more than this cancer. How would someone go about finding your book? Honore: Yes, so the book is available on Kindle. Then on our website which is: 128daysandcounting.com. Also, on Amazon. His cancer from diagnosis until the day we found out he was cancer free was 128 days. I intentionally put the “and counting” once I started writing the book because it became very quickly clear to me that the cancer-free was not the finish line, it was actually the starting point. Tom went through a really rough battle with depression and PTSD and puling all of those pieces back together, because it’s a lot to undertake. I always say that the and counting is the most important part because to rebuild and get your life back. Going back to what I said, it’s getting back to our regular roles of husband and wife. That’s a real transition. That’s how the name came about and that’s where you can find us. Joe: Fantastic. Thank you so much for your time. Thank you so much for sharing your story. Honore: Thank you so much. It was so great to talk to you.